Delta Force Paintball West Glasgow is a popular tourist attraction in Scotland, drawing in thousands of people every year and was even awarded 4 stars by the Scottish Tourist board! The centre is conveniently positioned only a few miles from the M8 motorway at Junction 29 and is easy to get to from Glasgow, Paisley, Greenock and the surrounding areas. It is also not far from our East Glasgow paintball centre – opening February 2015. Paintball in Scotland is huge, and with our West Glasgow paintball centre offering customers first class facilities and state-of-the-art game zones with Hollywood style props, it’s easy to see why! Game zones in West Glasgow include Command Post which features a large wooden fortress, Chemical Alley where players need to take over a heavily defended fuel depot, London Apocalypse which uses London double-decker buses, The Haunted Graveyard featuring an abandoned church and ghostly looking tombstones, Tomb Raider which has a giant stone pyramid (which is even visible from the windows of the aircraft flying overhead at nearby Glasgow Airport!) and Viet Cong Village which features lots of abandoned village huts. Delta Force Paintball Glasgow provides a challenging and fun day out for anyone over the age of 10 years old. The Scottish Tourist Board works with local authorities, public organisations and private businesses to guarantee their visitors receive the very best experience of Scotland. 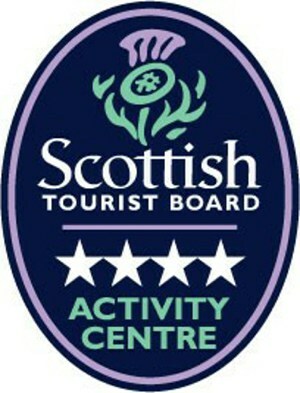 Their aim is to ensure Scotland makes the most out of its excellent tourism assets and recognises its potential. This is achieved by marketing Scotland globally in order to attract visitors, offering information and inspiration to potential and retuning visitors as well as advice to industry partners to help the tourism industry meet and surpass visitor’s expectations. Consequently, the Delta Force Paintball team was thrilled when the representatives of the Scottish Tourist Board decided to visit the West Glasgow Paintball Centre and even more delighted when they awarded the venue 4 stars! 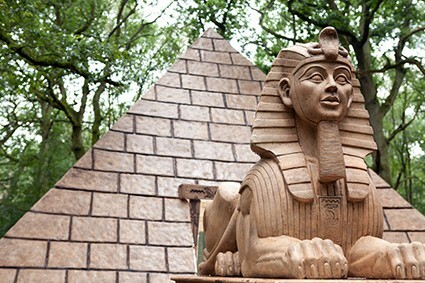 Our facilities and service were recognised as outstanding, and special mention was made of the marshalling staff and their dedication delivering a quality day out for all customers. To request further information on the award winning Delta Force Paintball West Glasgow centre or to book a paintball event with us, dial 0203 869 9301 and speak to one of our friendly advisors who will be happy to help you.